A tender evergreen shrub that will provide masses of colour from spring to early autumn. 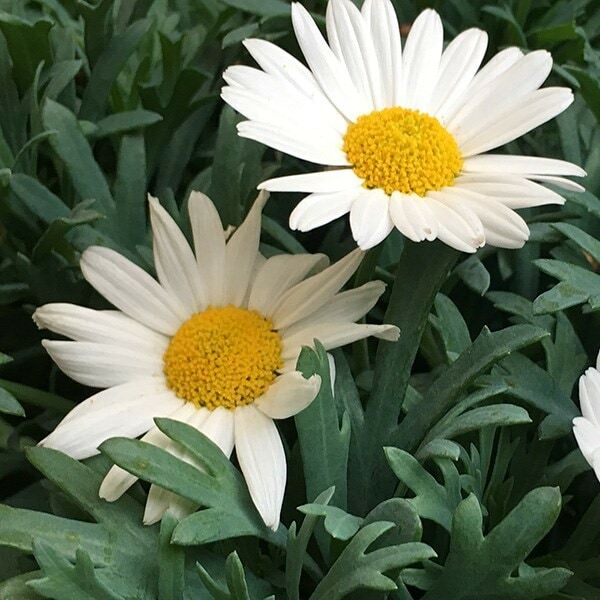 One of the best loved of all the summer bedding plants due to the long-lasting flowers, the pure white daisies with yellow centres look great above the rich green foliage. 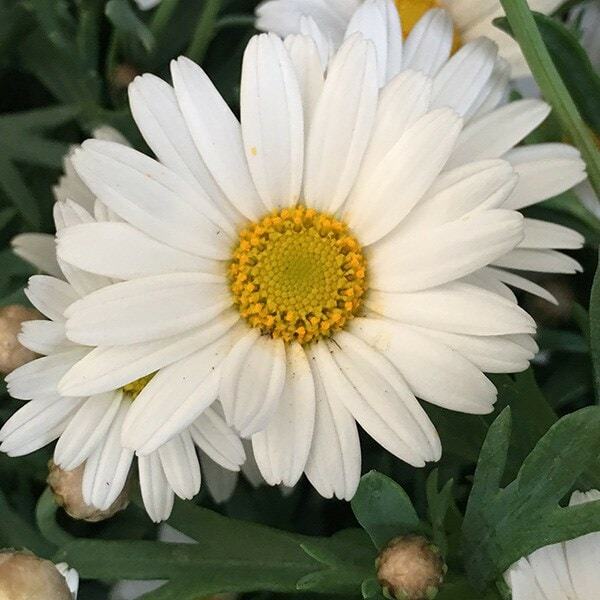 Like all marguerites, it needs a sunny spot for best results, and should be grown in pots which can be protected during the winter in frost prone areas. Garden care: Pinch out the growing tips to encourage bushiness and apply a deep, dry mulch around the base of the plant in autumn.Take cuttings to ensure against winter losses, however even if top growth is damaged by the frost, the plants often re-grow from the base in spring. Marguerites blooming even in winter! Hello, can this plant be split into 2 pots? I want to plant in tall, chimney-pot pots to keep them high off the ground and a 3-litre pot may be too big. I have pet rabbits, who devoured my ground-level ox-tail daisies! Hello, No, I'mafraid that as this is a shrub, it cannot be divided in the same way as many of the perennials.